If your child care, daycare or preschool participates in the USDA’s Child and Adult Care Food Program (CACFP), you’re more than familiar with meal counts. You’ve got to track eligibility level (like free, reduced and above scale) as well as the age and date of birth of children. You’ll also want to keep up to date on reimbursement rates and requirements, such as correctly reporting meals claimed, which is not necessarily the same as meals served. It can be a lot to keep track of, especially if you’re still recording meal counts by hand or on a basic spreadsheet. 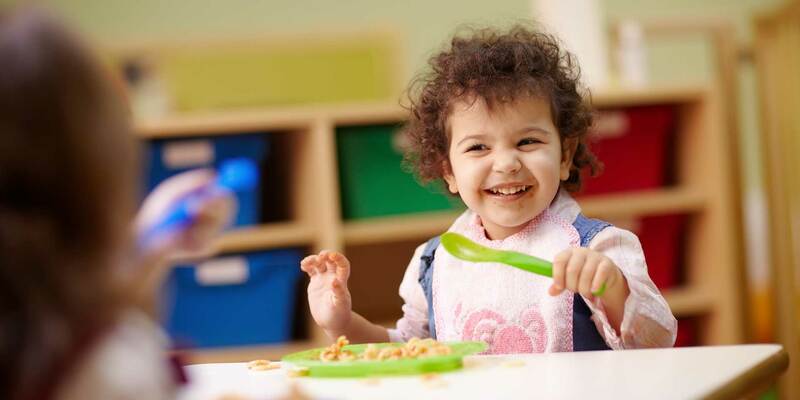 With that in mind, here are 5 tips to help you track meals at your child care center. In order to keep accurate meal counts you’ll need a consistent way of recording the information. Creating a meal roll-call sheet is a great place to start. You can make your own fill-in-the-blank sheets using a basic word processor or you may prefer to download a Free Meal Count Sheet in daily or weekly format. You’ll want to include columns for each meal you serve like breakfast, lunch, and afternoon snack, so you can check off the appropriate meals served to each child. Another option is to print a meal count sheet, with the classrooms and children already listed on it, using a food program software solution – more about that later. Counting the children who are actually served the meal is one thing, but have you considered how useful it might be to have the counts ahead of time, before the meal is actually served? Your kitchen staff will need a way to accurately predict the number of children likely to be served, so they can prepare the appropriate amount of food. You don’t want to have extra that goes to waste, but you don’t want to come up short either. Having the ability to get meal counts, ahead of time, based on the children who are scheduled to be there, is a perfect way to do just that and is another strong reason to consider using a software program. Although you likely serve more than one meal each day, the number of meals for which you can claim reimbursement is limited by state and/or federal regulations. Typically you’re allowed to claim up to three meals in total per day, consisting of two “main” meals (breakfast, lunch or dinner) along with one “supplement” or snack. If a child is in your care all day, they may be served four, five or even six meals in a day (breakfast, AM snack, lunch, PM snack, dinner, and evening snack). However, since you may claim only two main meals and one snack, you’ll want to claim those for which you receive the highest rate of reimbursement. Determining the best meals to claim, child by child, on a daily basis can take time, but will result in a larger reimbursement check. Of course you can track this information by hand or using a spreadsheet, but there are more efficient ways – which I’ll share in a moment. Reporting requirements vary by state, but keeping accurate records should always be a priority. Most forms require either the child’s age or date of birth along with their eligibility status and precise meal counts. It’s easy to make mistakes if you’re tallying the information by hand. You’ll want a way to generate accurate totals you can use to fill out the appropriate state forms. You’ll find it’s possible to save hours and hours of manual work by investing in software designed specifically to record and track your CACFP meal counts, such as the Meal Tracker by Procare Software. Think of the capabilities you’ll need, like the ability to print meal roll-call sheets, instantly count children based on their schedule or actual attendance, tally both meals served and claimed, specify age groups, and report the information needed to fill in your required food program forms. You may even want to print menus and email them to parents or publish them on your web site. As a child care provider, your primary goals are to offer a quality learning experience and loving care to the children at your center. Too often, however, time-consuming administrative tasks can divert your attention from these goals. Michelle is so helpful and knowledgeable. It's so nice to have someone so kind when trying to navigate a program that is unfamiliar!